The long standing tradition of championship teams going to the White House, has recently become more of a controversial topic. Players have always skipped out on going to the White House, but for whatever reason more recently it has gained more news coverage than ever. In 1984, Larry Bird skipped out on the White House for personal reasons, in 1991 Michael Jordan skipped the trip to the White House to go golfing, and Jake Arrieta didn't attend the ceremonies whenever President Obama was in office. In 2017 numerous Patriots, including Tom Brady skipped out on going to the White House. This year the same story stands, multiple Patriot have come out and said they won't be attending the trip to visit the White House. 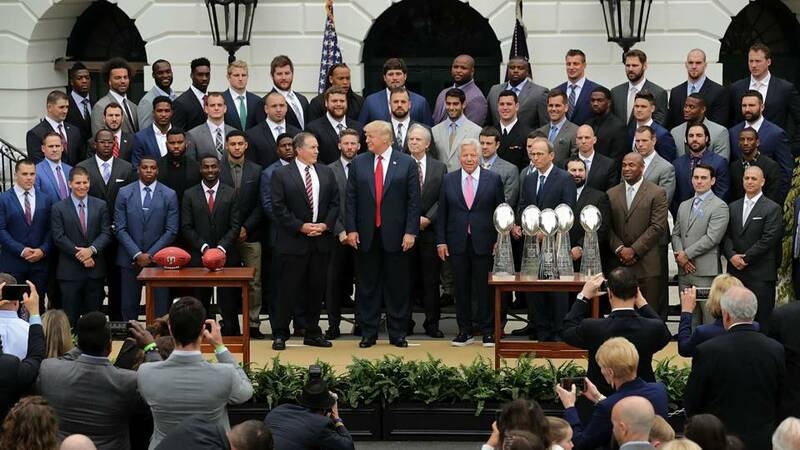 All of the defensive backs have come out and said that they will not going to the White House, this includes Devin McCourty, Jason McCourty and Duron Harmon, who publicly announced their absence shortly after the Patriots won Sunday night, due to the fact that they don't feel welcomed at the White House. Dont'a Hightower also said he will not be attending the White House. Hightower's absence feels less political than the others because he also missed the 2015 visit whenever President Obama was in office. Players have skipped out on the trip to the White House since the beginning of the tradition, so let's not act like this is a new issue. While I think that players should go with their team for one last event before the offseason starts, I certainly don't think this is something we should be making into a big deal. The NFL is a long and mentally draining season, and if players dont chose to go, then so be it. The players that show up, usually seem to enjoy the event.